Groove Monkee Doom is a huge collection of hard-hitting MIDI loops for Doom-Stoner-Sludge Rock and Metal. From slow and heavy to fast and furious, we modeled this pack after Crowbar, C.O.C, Clutch, Down, etc. 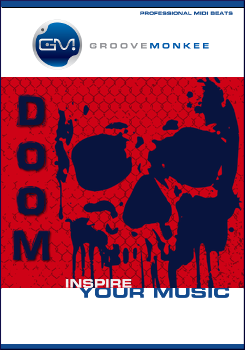 Doom is the ultimate MIDI compilation for modern hard rock and metal. 770 Royalty Free MIDI drum loops. Song format: grooves, fills, intro fills, outro fills.